Clifton. The screening is a fundraiser for the Cincinnati Off-Road Alliance mountain bike club. the best adventure film at the 2010 Vail Film Festival. They’ll experience mental breakdowns, treacherous snow, hellacious blisters, and total fatigue. to live life to the fullest. France,” after reviewing the film. 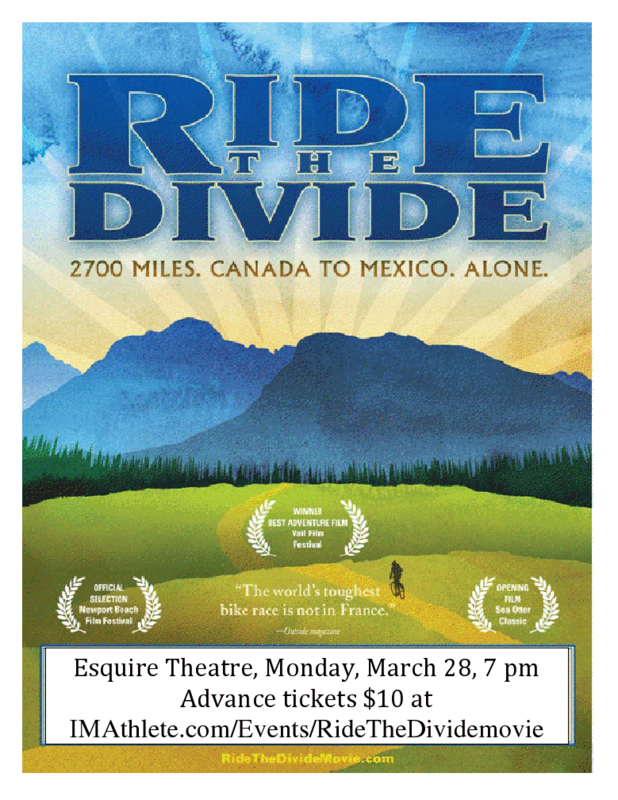 Ride The Divide will be shown at 7 p.m. at the Esquire Theatre, located at 320 Ludlow Ave.
Oh and I'll be doing the Q&A afterward.